Jakarta, CNBC Indonesia - Minister of Transportation Budi Karya Sumadi said, inter-regional logistics connectivity is still a challenge for transportation development in Indonesia. This has an impact on the competitiveness of the business as a whole. Budi Karya Sumadi revealed that the World Bank's version of the RI logistic performance index had indeed increased dramatically from 63 in 2016 to 46 this year. However, Indonesia is still less than Vietnam. "Unfortunately in ASEAN we are overtaken by Vietnam (from 64th to 39th)," Budi said in a discussion entitled Future Digital Transformation held by the Indonesian Employers' Association (Apindo) in Jakarta, Monday (12/10/2018). Budi hopes that Apindo as a business actor can work with international consultants to find out what needs to be improved. Moreover, digital disruption occurs even in the transportation sector. "We are used to competing at the corporate level. 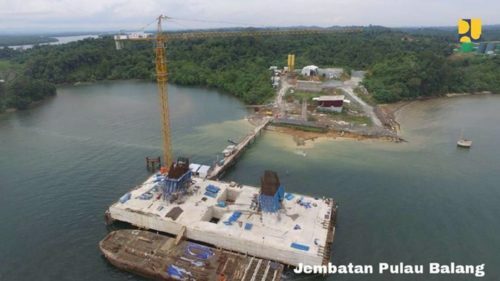 The president is asking us to increase competitiveness at the international level," said the former managing director of PT Angkasa Pura II (Persero). "Ahead of the opening of the Kuala Tanjung port in North Sumatra is a momentum for us to improve our capabilities. We have the opportunity to increase competitiveness by reducing logistics costs," he continued.